This year was crazy, and somehow it’s not even over yet. 2016 has already had an unprecedented year for major album releases. There was Kanye West's perpetually-updating The Life of Pablo, Beyoncé's stunning LEMONADE visual album, and Frank Ocean's double release of ENDLESS and Blonde, just to name a few. We've arrived at Q4 and started our album of the year debates, but 2016 remains far from over. Childish Gambino is set to deliver his Awaken, My Love! album on December 2, Kid Cudi's delayed Passion, Pain, & Demon Slayin' just got a new release date, and Drake has a "playlist project" on the way. It's unlikely that every single one of these will actually be released before 2017, or at all, but other things we don't even know about might pop up too. Happy listening! Below, we've compiled a list of upcoming and rumored releases to look forward to as the year comes to a close. To celebrate his 30th birthday, Drake guested on OVO Sound Radio, delivering four new tracks and announcing More Life, dropping in December. The Canadian rapper said that More Life would be a "playlist project," as opposed to an album or mixtape, meaning it could feature appearances from artists on the OVO label and affiliates like Popcaan and Skepta. #Woptober in the streets right now. Coming right back with #TheReturnOfEastAtlantaSanta on 12/16! RT that!! Since his release from prison in May, Gucci Mane has been just as prolific as ever, dropping Everybody Looking and Woptober in quick succession. Guwop used the release of his latest project as opportunity to announce a new installment in his East Atlanta Santa mixtape series. Gucci Mane will be releasing The Return of East Atlanta Santa on December 16, just in time for the holiday season. Kid Cudi's Passion, Pain, & Demon Slayin' album was originally slated for a late-September release. The scheduled date came and went, and, in October, Cudi took to Facebook to announce that he would be checking himself into rehab. "The album is still on the way. Promise. I wanted to square away all the business before I got here so I could focus on my recovery," he wrote. On December 1, Kid Cudi released a new single with Travis Scott entitled "Baptized In Fire." An updated pre-order link for the album in the New Zealand iTunes store lists the expected release date December 16. Damon Albarn and Jamie Hewlett have been hinting at a new Gorillaz album for much of 2016. In July, Albarn said that the album would be done "fairly soon." The group has recently been releasing multimedia stories on their Instagram that examine the backstory of each animated character from the band. "Band members" have even conducted interviews; Russel from Gorillaz recently told Puss Puss about the upcoming project: "You can expect whatever you like. What is coming will come, whether you expect it or not." Young M.A. owned the summer with "OOOUUU" and the Brookyn rapper is out to prove that she's much more than just a one-hit wonder. During an interview with Rolling Stone in September, Young M.A said that her hit single would be featured on an upcoming mixtape: "Last year I dropped Sleepwalkin' on November 4, 2015. I think I'm going to do the same this year, and drop it on the same date, and call it Sleepwalkin' Volume 2, and put "Ooouuu" as well as "Summer Story" on it. Migos have been consistently releasing quality singles for much of the year, but their Culture album is still forthcoming. In September, the trio promised that the album would arrive by the end of the month. With that date behind them, the Atlanta rap group took to social media a few weeks ago to share a handwritten tracklist for the album. In July, Venezuelan producer Arca released Entrañas, a free project, and a video for "Sin Rumbo." The releases came with a promise that "the album will come out this year." The album he was referring to is Reverie, the follow-up to 2015's Mutant. Arca shared a teaser video for the project in February on his Instagram. In April, Tinashe cancelled the remainder of her world tour in order to work on her sophomore album Joyride. "I will be wrapping up the finishing touches on Joyride by the end of May, and will be back on the road shortly thereafter to see all of you," she wrote on Facebook. The album still doesn't have an official release date, but Tinashe's NIGHTR1DE mixtape is available now. Back in February, Top Dawg Entertainment CEO Anthony Tiffith announced a prospective list of projects that the label expected to drop in 2016, including SZA's debut album A. In a since deleted tweet, SZA aired her frustrations out, writing, "I actually quit . @iamstillpunch can release my album if he ever feels like it. Y'all be blessed." The caption for a recent Instagram post was more optimistic: "Finishing things." Shortly after the release of The Life of Pablo, Kanye West took to Twitter to announce that his next album would be called Turbo Grafx 16, named after a gaming console released in late ’80s. The album hasn't been mentioned since then, and Kanye's mind seems to have moved on to other endeavors, like his collaborative album with Drake. HY!£UN35, which is supposed to be Young Thug's debut studio album, was announced over a year ago. Never one for the traditional, Thugger went on the HY!£UN35 tour but still hasn't dropped the album. However, in a recent interview with V Magazine, Young Thug promised a new album by the end of the year and said that it would be "ten times harder than Jeffery." Nicki Minaj recently trolled fans by announcing a surprise album called Pick My Fruit Out. After admitting to the practical joke, Minaj called in to The Breakfast Club to explain herself. In response to a question about the potential for Beam Me Up Scotty 2, she replied, ""I'm not closed off to it, but I definitely won't tell anyone if I'm doing that. If I was working on a mixtape, I wouldn't tell anyone that. I would just surprise my fans with it." On Thursday, she captioned an Instagram, "One more month." 13. Childish Gambino Awaken, My Love! After the resounding success of his FX series Atlanta, Donald Glover switched back into Childish Gambino mode almost immediately, surprising fans with two new singles and the announcement of a new project. 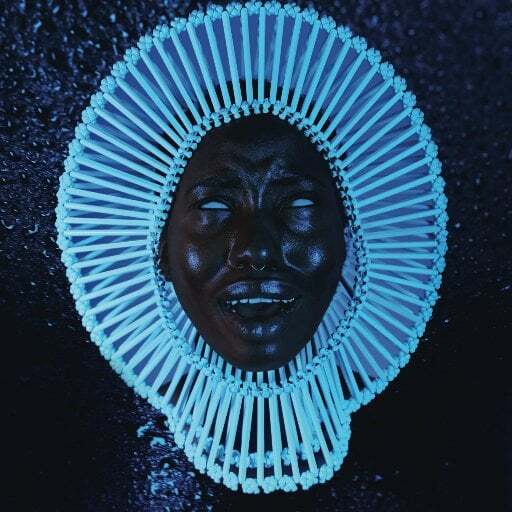 Awaken, My Love!, which Glover has said was inspired by Parliament Funkadelic, is due out December 2. In September, Zaytoven announced that him and Future had been working diligently on Beast Mode 16, the follow-up to their 2015 Beast Mode tape. "We’re really done. But we keep working though," Zaytoven said. Future seemed to corroborate this when he dropped a new video for the Drake-assisted "Used To This" in early November. No official release date has been announced for the project, but Future could sneak this one in before the buzzer. On December 1, a new J. Cole album mysteriously became available for pre-order on iTunes. The 10-song project, entitled 4 Your Eyez Only, has a December 9 expected release date, which marks the 2-year anniversary of the North Carolina rapper's multi-platinum album 2014 Forest Hills Drive.